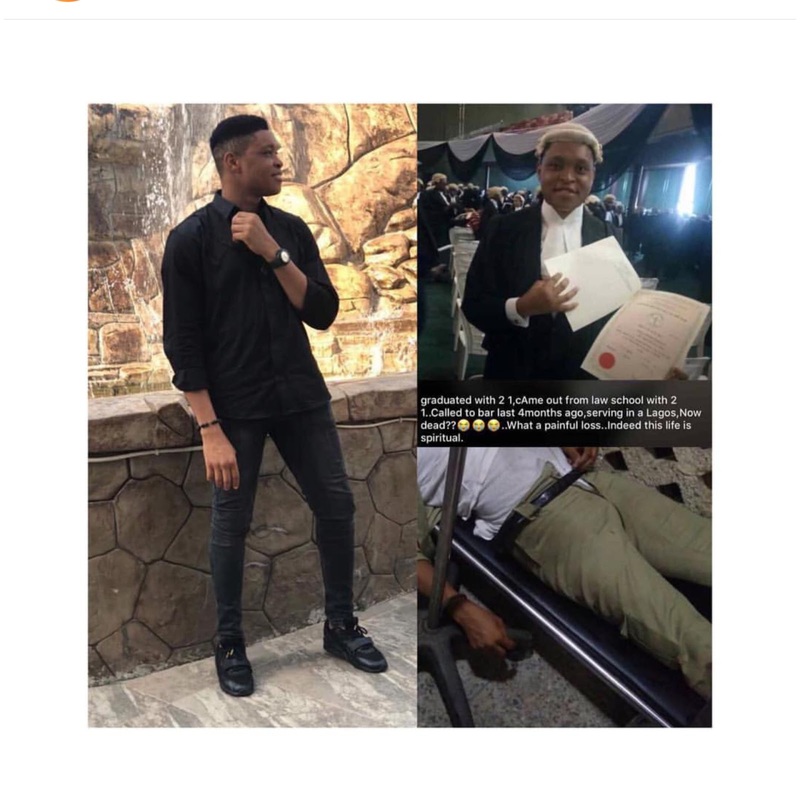 Corp member, Akhigbe Nuel Odiase, a law graduate of AAU was reported dead today. He fell from a movong public transport bus along LASU Isheri road Lagos. Efforts where made to safe his life as he was rushed to Alimosho hospital for first aid treatment and referred to LASUTH for treatment.